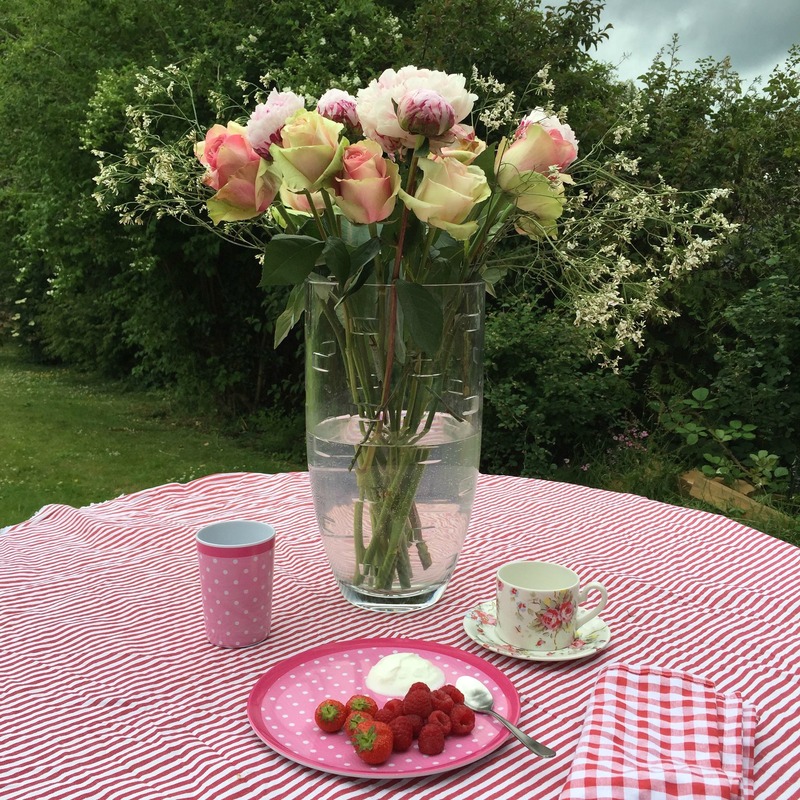 The gift of flowers – without having to bother the neighbours! 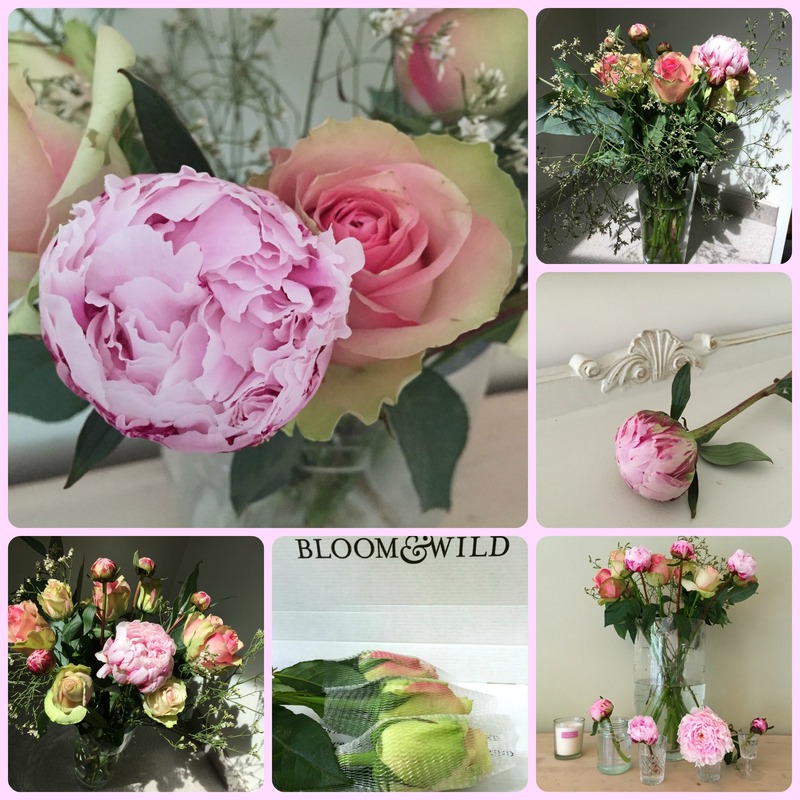 Bloom & Wild deliver beautiful bouquets that – lovingly packaged – fit through your letterbox, making them the perfect choice for anyone, without having to worry whether they’ll be in to receive them. What with the school run, doctor’s appointments and forgetting the PE kit, I am always in and out of the house. 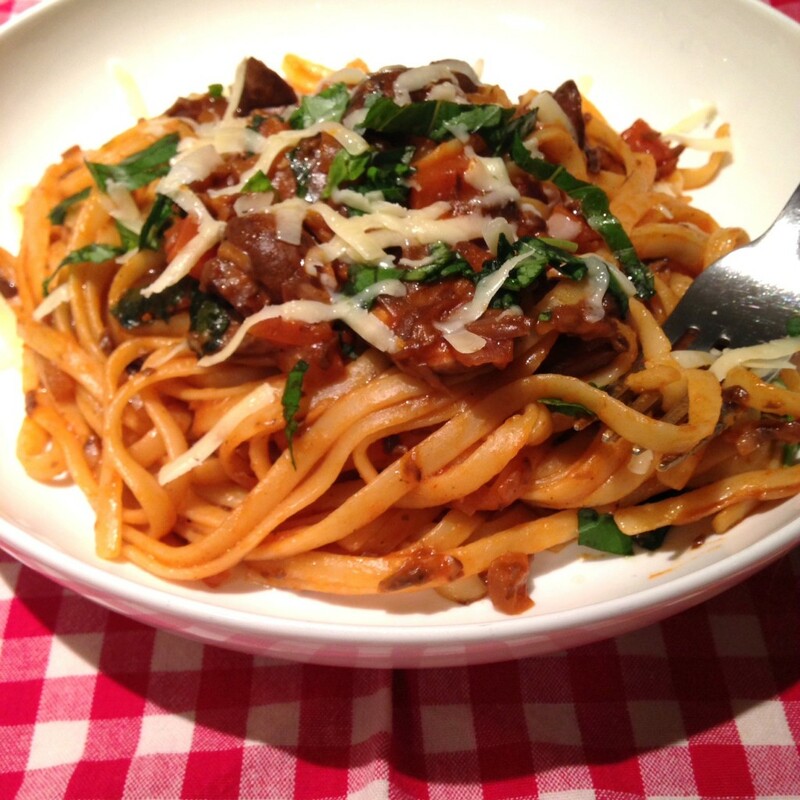 Although my neighbours are very patient, every missed delivery makes me worry that they will say, enough is enough! Peonies, to me, are perfection. So I was delighted to be sent the gorgeous Eliza by Bloom & Wild, a bouquet of exquisite peonies and glorious pink and pale pink roses, offset with eucalyptus and gypsophilia. The flowers come in a thin box, beautifully wrapped so they arrive in mint condition. The roses even wear little hairnets to protect their petals! 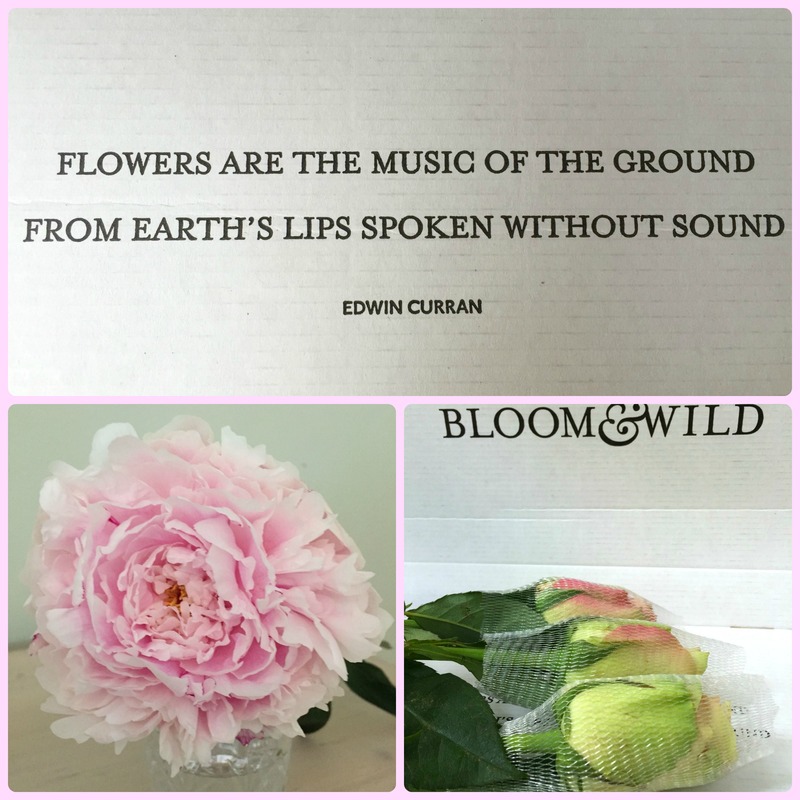 With their trademark attention to detail, Bloom & Wild prints a lovely quote on the inside of the box, and provides a handy guide on how to arrange your flowers. Fresh flowers are an occasional treat for me, but in peony season I like to buy a bunch every week, or when they start to drop. So I feel qualified to say that the quality of The Eliza peonies was exceptional. Also, if you are buying as a gift, they are priced competitively against a comparable bouquet from higher-end supermarkets – so you pay a similar price with the considerable bonus of being able to have the bouquet delivered. 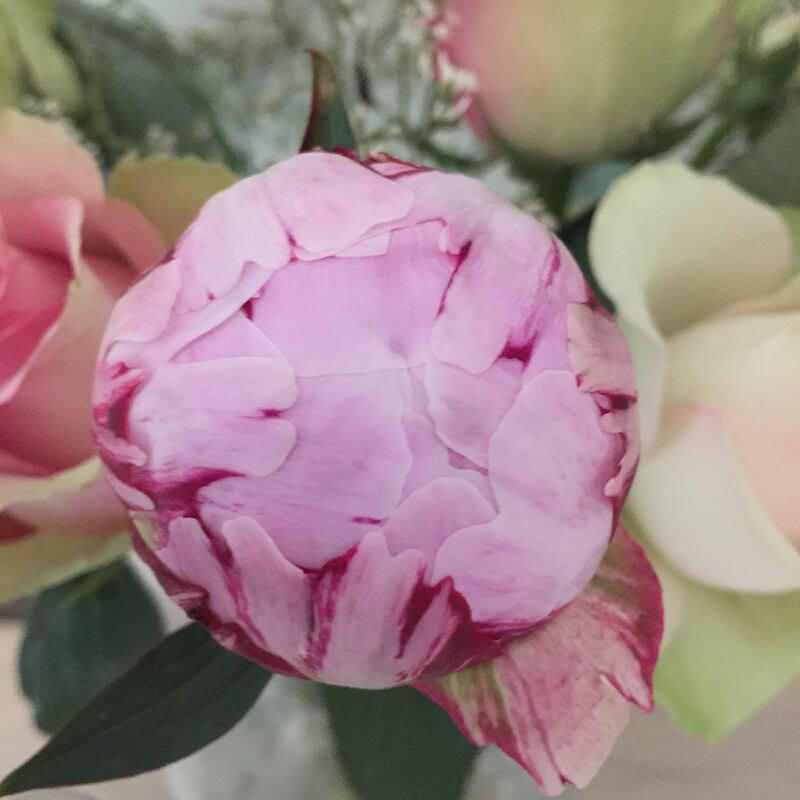 Peonies are renowned for their fragility – once they are fully open, one touch can cause them to shatter, their petals falling thickly and silently to the ground. This ethereal nature has made them a rich symbol of melancholy in literature. But cheer up, Keats, my blooms have lasted over a week and only one has started to drop! This is the last week for peonies in England, and Bloom & Wild are offering a beautiful “last hurrah” bouquet, The Penelope. But if peonies aren’t your thing, you can choose from a selection of other beautiful offerings. I like the warm summer colours of The Marianne. Disclosure: I was sent The Eliza bouquet for review purposes. All photos, words and opinions my own, except the haiku, which is credited above.